Making music portable has been a big issue for almost as long as we’ve been driving. 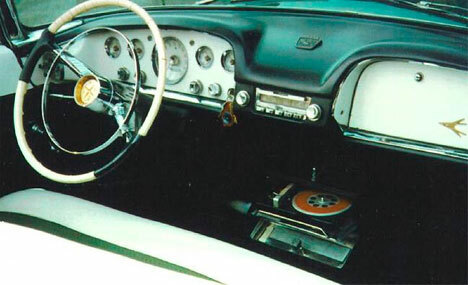 Radios, 8-tracks, cassettes, CDs and MP3 players are well-known steps on the car entertainment evolutionary ladder, but there was another type of in-automobile music player that not everyone is familiar with: the car record player. Knowing how easy it is to scratch records or make them skip with the slightest bump, it might seem counter-intuitive to put a record player into a moving car. 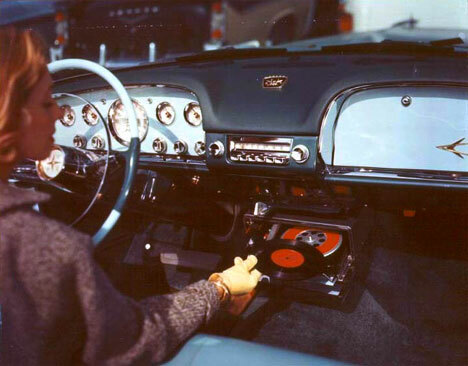 But the automobile record player, first introduced by Chrysler in 1956, contained a number of features that would keep the music going even when there were bumps in the road. 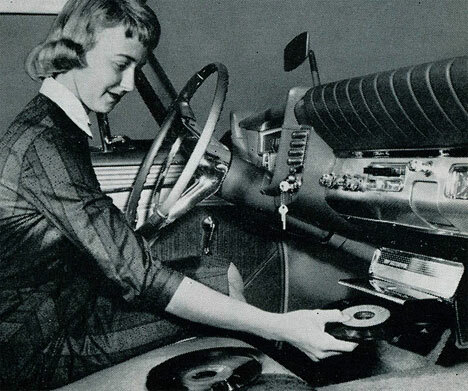 The in-car record player rotated more slowly than standard record players, and the arm was cushioned and counterweighted to keep it from scratching the record. The Highway Hi-Fi, as it was called by Chrysler, was quite popular in its time – though that popularity wouldn’t last long. Part of its downfall can be attributed to the fact that the Highway Hi-Fi required special records; you couldn’t simply pull a record off of the shelf and play it on your road trip. Rather, drivers had to purchase all of their music again in the new proprietary format. Since the machine was only available on new vehicles and not as an aftermarket accessory, there wasn’t a huge commercial demand for it. Moreover, the devices had the nasty habit of breaking often and Chrysler wasn’t thrilled with the cost of fixing all of those under-warranty units. By 1957, just one year after their initial introduction, Chrysler started withdrawing support for the ill-fated gadgets. See more in Antique Gadgets or under Vintage & Retro. June, 2010.